Above and below: Male and female Brown-headed Cowbirds, two of the many blackbirds eating us out of house and home. 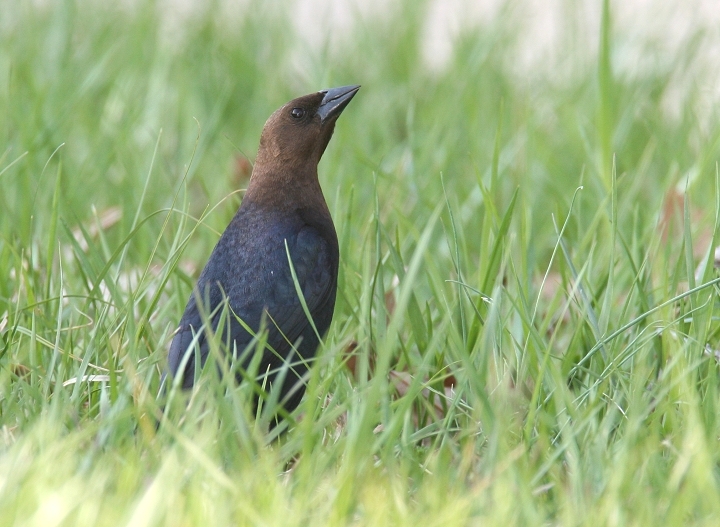 Below: A male Brown-headed Cowbird in Howard Co., Maryland (4/15/2006). 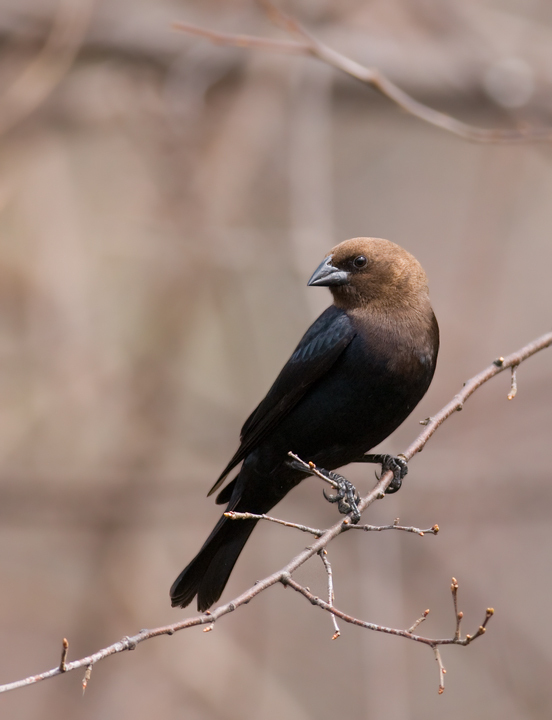 Comments: North America's most notorious brood parasite, the Brown-headed Cowbird always lays its eggs in the nests of other birds. It was originally a bird of the Great Plains, where it followed herds of American Bison, feeding on the buffaloes' parasites. Did a life on the run, perpetually following the herds, necessitate brood parasitism? Many believe it is so. Somewhat disturbing (but certainly effective) are the first actions taken by newborn cowbirds: blindly pushing their foster brothers and sisters from the nest. The begging calls of the young have evolved to sound like the whining of a full nest of young, and keep the parents working around the clock. It is not uncommon at the end of breeding season to see tiny songbirds doting on a plaintive "child" twice their size. (Imagine a similar concept in humans... "Mrs. Johnson, what a big, strong... 12' tall monster you have there..."). 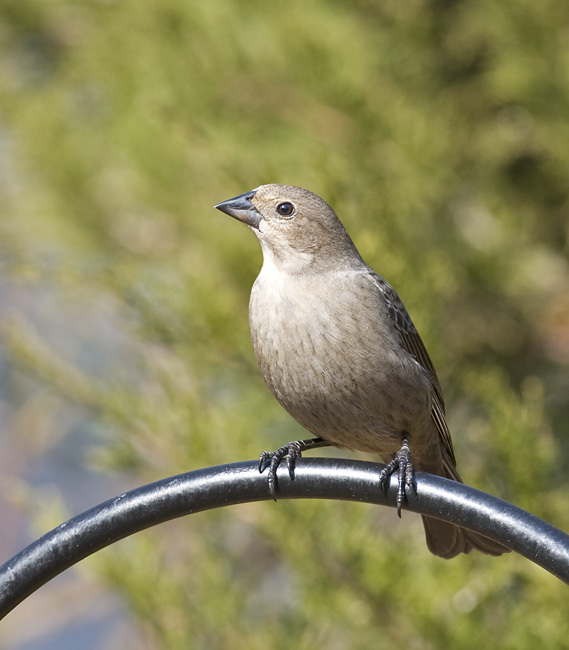 Different species have adapted varying degrees of defense against parasitism by cowbirds, some quite effective. 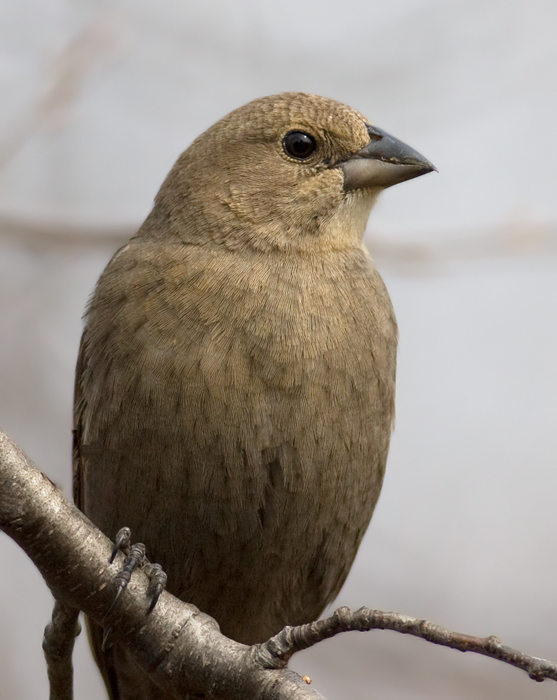 Other species with a high susceptibility to cowbird parasitism, especially those with already-low populations, may experience significant declines. On the nesting grounds of the endangered Kirtland's Warbler, for example, cowbirds are routinely trapped and removed to give the small population a break. 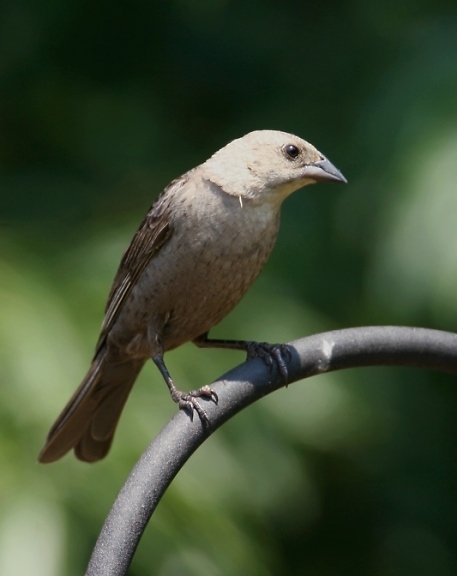 Although all cowbirds are full-time brood parasites (i.e., obligate brood parasites; they have lost the ability to create their own nests), some species are occasional (non-obligate, or facultative) brood parasites. In North America, the well-known members of this list include Black- and Yellow-billed Cuckoos, Canvasbacks, and Redheads. Surprisingly, many other birds have been recorded taking advantage of free day care, primarily waterfowl: Canada Goose, Snow Goose, Wood Duck, Mallard, Gadwall, Northern Pintail, Blue-winged Teal, Northern Shoveler, both scaup, both goldeneyes, Bufflehead, all three mergansers, White-winged Scoter, Common Eider, Ring-necked Pheasant, and Northern Bobwhite (New Brunswick Naturalist, 1992). Very surprising, indeed! 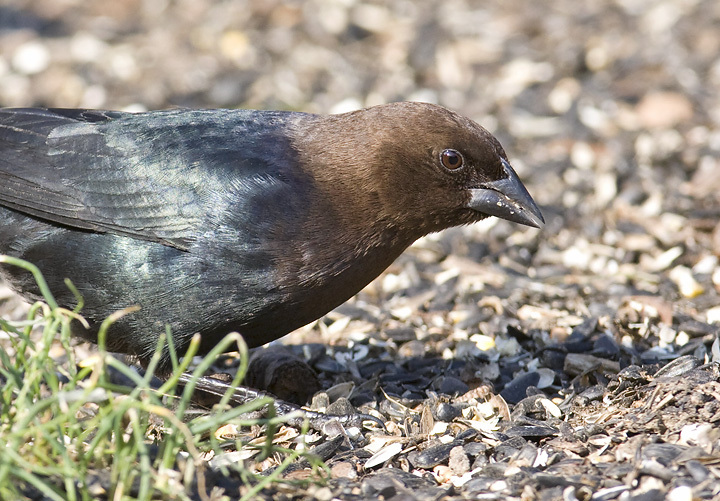 After the breeding season, cowbirds are quite gregarious, assembling into large mixed foraging flocks with other blackbirds for the fall and winter.